https://n.rivals.com/content/prospects/2007/kellen-moore-24584 went 50-3 most wins in college football history big miss by Nebraska at the time? Dude, we get it. You're infatuated with Wisconsin and Boise State. Did somebody say, CHEESE FRIES!!!! CHEEEEEEESSSSSEEEEEEEE FRIIIIIIIIESSS, IN THIS BIAAAAAAAA. I didn’t really want to admit it, but i feel you guys will support me regardless, but i openly and deeply weep, DAILY, because we didn’t get Kellen Moore to play QB for us. I’ve tried to pick up the pieces and move on, but just can’t quite get past my overwhelming sadness from 12 years ago. There are nights i simply can not sleep, as i am too forlorn over this QB commit who spurned our lack of offer and went to Boise State. With all due respect to Kellen Moore, his talents would have been wasted at Nebraska anyway. Will this bite the Cowboys in the a$$? No no no. 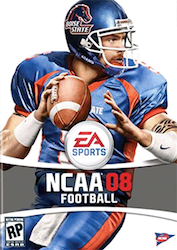 The Cowboys HIRED the Boise State QB, how would making a superb decision like that ever come back to bite them? Did you actually create this thread and try to make it look like a recruiting profile? If you've seen one Boise State QB you've seen them all.